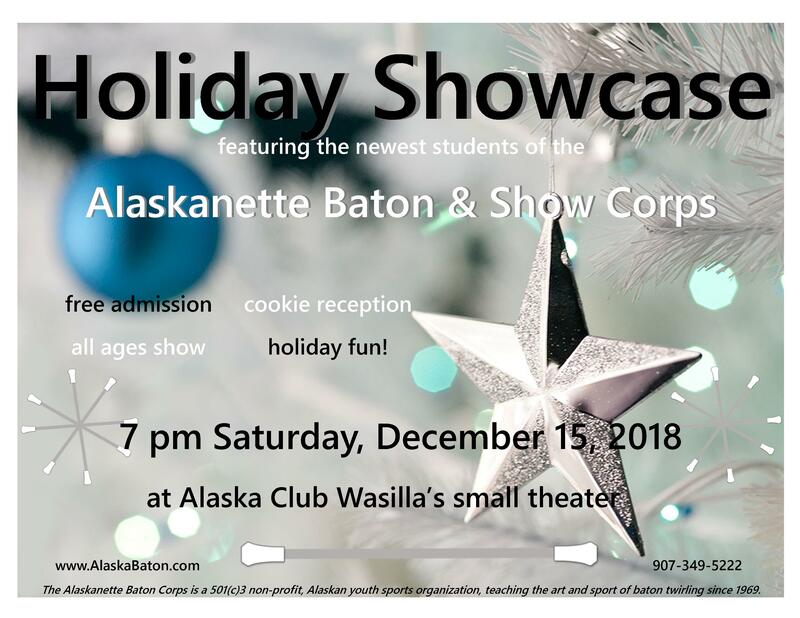 Join our newest twirlers and Regionals athlete Keira for feature performances in a brief Holiday Showcase at the Alaska Club Wasilla’s Small Theater on Saturday 12/15/18 at 7 pm. Monday 12/31/18 Northern Lights Resolution Run, 6 – 8 pm on the APU / UAA trail system (we perform on the field at the far right / east end of the course. New classes begin as soon as school starts this fall! We look forward to hosting a 50th Anniversary reunion and showcase over the weekend of May 3-4, 2019. We’re in the planning stages now, so current and former Alaskanettes are invited to call or email and join in the planning to make this weekend something special. 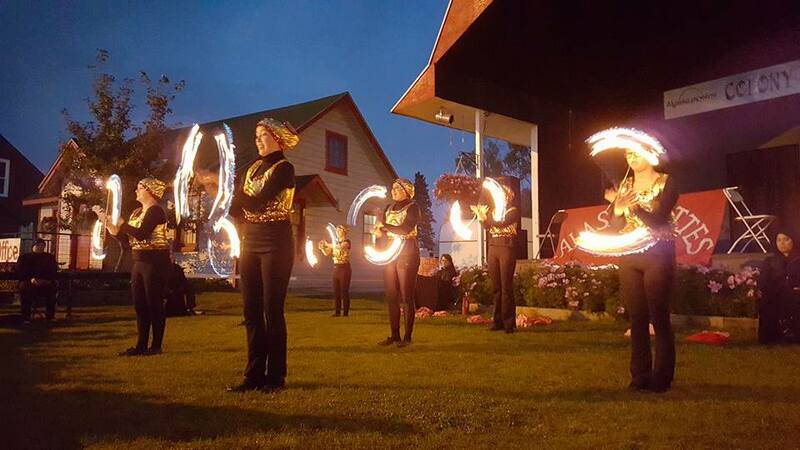 Fridays and Saturdays during the Fair, the Alaskanette Baton Corps, Inc., will be performing at the Alaska State Fair. Evening shows by our Fire and Lighted teams will be at the Colony Stage near the Red Gate each evening at 10 pm. Find photos and videos from our community performances and competitions on our Facebook page. Here’s a glimpse of our performance at Trick or Treat Town on Saturday, October 25, 2014: https://www.facebook.com/video.php?v=897642480286518. Thank you to Margo Jones for the video! The Alaskanette Baton Corps performed at the halftime of the UAA vs. Pacific game in the GCI Great Alaska Shootout, the week of Thanksgiving 2014 at the new Alaska Airlines sports center on the UAA campus. See video at http://youtu.be/PjSHvUB-hXU.